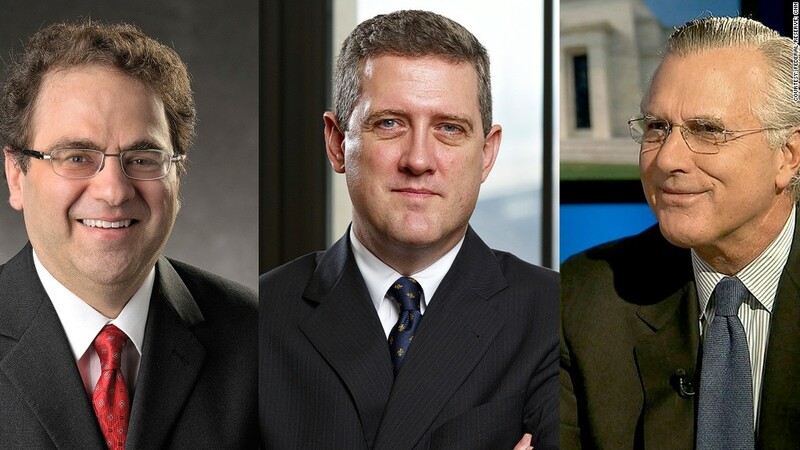 Days after Ben Bernanke signaled a gradual end to the Federal Reserve's stimulus efforts, regional Fed presidents Narayana Kocherlakota (left), James Bullard and Richard Fisher have chimed in with concerns. Days after Ben Bernanke signaled a gradual end to the Federal Reserve's stimulus efforts, his colleagues are chiming in with concerns. Did the Federal Reserve chairman go too far when he said that the central bank plans to reduce its stimulus buying later this year? Or did he leave out some important details? One official thinks investors are overreacting: Stimulus-hungry investors have been in a tizzy since Bernanke's press conference on Wednesday and are simultaneously shedding stocks and bonds. As a result, the S&P 500 has dropped about 4% since then, and the benchmark 10-year Treasury yield has risen to 2.6%, up from 2.2%. Why? Investors are concerned about how the economy will hold up when the Fed stops pumping in cash. Since last September, the Fed has engaged in a third round of "quantitative easing," an unconventional policy in which the central bank buys bonds to lower long-term interest rates. Recently, the Fed has been buying $85 billion in Treasuries and mortgage-backed securities each month. Bernanke said that the central bank plans to start reducing those purchases later this year, and eventually bring them to an end when the unemployment rate falls to around 7% -- a scenario that he believes is unlikely to occur until mid-2014. Bernanke stressed last week that the Fed still plans to keep its more traditional form of stimulus in place, as it will hold short-term interest rates near zero for quite some time. It's like "letting up a bit on the gas pedal as the car picks up speed," he said. Nevertheless, investors responded as if the Fed was slamming on the brakes. Dallas Fed President Richard Fisher spoke out Monday, urging investors not to act like "feral hogs" by overreacting. In the past, Fisher has largely criticized the Fed for taking stimulus too far, but even he is now trying to calm markets, stressing that the wind-down process will be a gradual and cautious one. "I don't want to go from Wild Turkey to 'cold turkey' overnight," he told the Financial Times. Another Fed official wants 'extraordinarily low' short-term interest rates for longer: In an unusual move, Minneapolis Fed President Narayana Kocherlakota issued a statement Monday criticizing the central bank for not issuing clearer guidelines on its plans for short-term interest rates, which have been at historic lows since December 2008. Like Fisher, Kocherlakota is not a voting member of the Fed's policymaking committee this year, but he will rotate into such a role next year. He supports the Fed's efforts to stimulate the economy but believes the central bank's recent communications "leave the public with large amounts of residual uncertainty" about how exactly the central bank will react to an improving economy over the next couple years. In his view, the Fed should commit to keeping short-term rates "extraordinarily low" at least until the unemployment rate falls below 5.5%. That viewpoint contrasts with the Fed's current guideline, which aims to keep short-term rates low until the unemployment rate falls to around 6.5%. One is worried about low inflation: St. Louis Fed President James Bullard doesn't like that Bernanke laid out mid-2014 as an approximate timeline for the end of QE. The Fed should base that decision purely on the economic data, "not calendar objectives," he said in a statement Friday. Bullard is also concerned about low inflation. He is currently a voting member of the Fed's policymaking committee, and last week, he officially dissented against the Fed's decision. He wants the central bank to commit to "defend" its goal of 2% inflation over the long run. Bullard has said that should inflation slow further, the Fed should stand ready to increase QE -- not taper it any time soon. And the persistent dissenter remains: On the opposite side of the debate stands Kansas City Fed President Esther George, who, as a voting member, has dissented against every Fed decision this year and continued to do so last week. She believes the Fed is providing too much stimulus, which over time could lead to "financial imbalances" and fuel a pick-up in inflation. She has not issued any further remarks since last week, and is not scheduled to deliver a speech until July 16. Upcoming Fed speeches: The rest of the week brings at least eight more appearances by Federal Reserve officials. 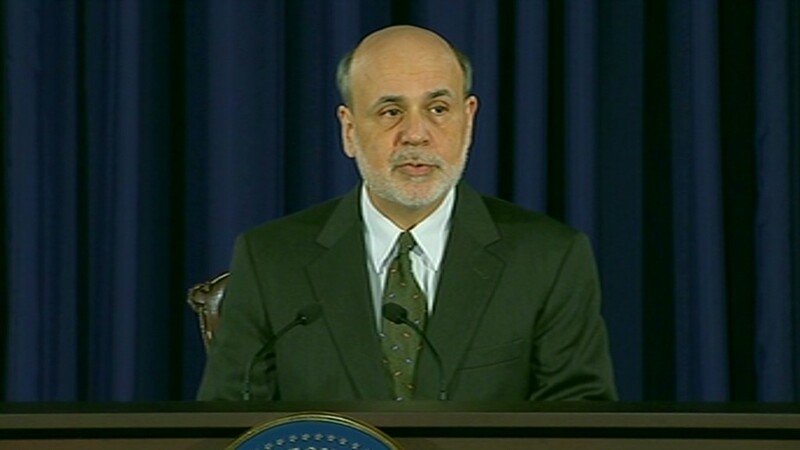 Get ready for plenty more second-guessing of Bernanke's road map toward the end of the Fed's stimulus.